Coming to Fiji? Need to know about Nadi? 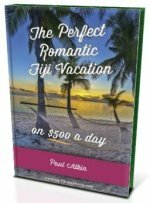 Find all you need to know about Nadi Fiji here. From accommodation, to what-to-do, to how to do things. This is the hub Nadi information section, supplying you with all the information you need to know about Nadi. Get to know this town, as you will be coming through Nadi as least twice. With around 40,000 inhabitants, it's Fiji's third biggest township. It has a large Indo-Fijian (Fiji Indian) population making Nadi a centre for Hinduism and Islam in Fiji. It also has a large transient population of foreign tourists which is important as tourism is a big part, the other being sugar cane production, of the local economy. The Nadi region has a higher concentration of hotels and motels than any other part of Fiji. Remember, Nadi is a hub town which connects you to places you are going to. 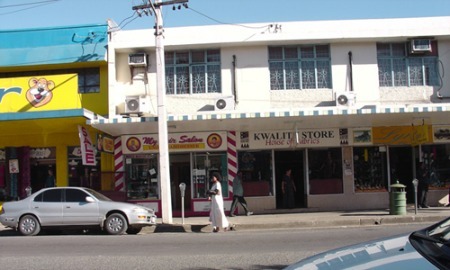 Most of things you would need to do is on Main St (Queens Rd) in central Nadi. Main St is the street coming down from the 'A Marker' on the map, as it's confusing with Queen Rd seemingly everywhere. Fiji Visitors Bureau - on Queens Rd before coming into Nadi. The airport is just north of Nadi and you'll notice coming down into central Nadi a built up area, next to the bottom of the runway which includes accommodation, eateries, and bars plus more. We suggest to click on the 'View Larger Map' option here, which is also available directly below the map. On the full screen mode, it has more places labelled which makes for easier navigation. Nadi International Airport handles 95% of international flights to and from Fiji, and is where you will most likely fly in and out of. Find out what is at Nadi airport, as there might be a couple of things you need to do before heading off. A couple of popular need-to-do's are getting cash out of the sole ATM (ANZ) and jumping on the internet. It's a popular question, so here's all the information you need. Land, air, sea, it's all here on our Transfers from Nadi Airport section.